Almost all of our products contain Coconut oil.. why? Because we are firm believers in the many health benefits of it (and it’s incredibly creamy and yummy too). There is a difference between good cholesterol/fat and bad cholesterol/fat. Coconut oil not only increases the healthy cholesterol (known as HDL) in your body, but it also helps to convert the LDL or “bad” cholesterol into good cholesterol. 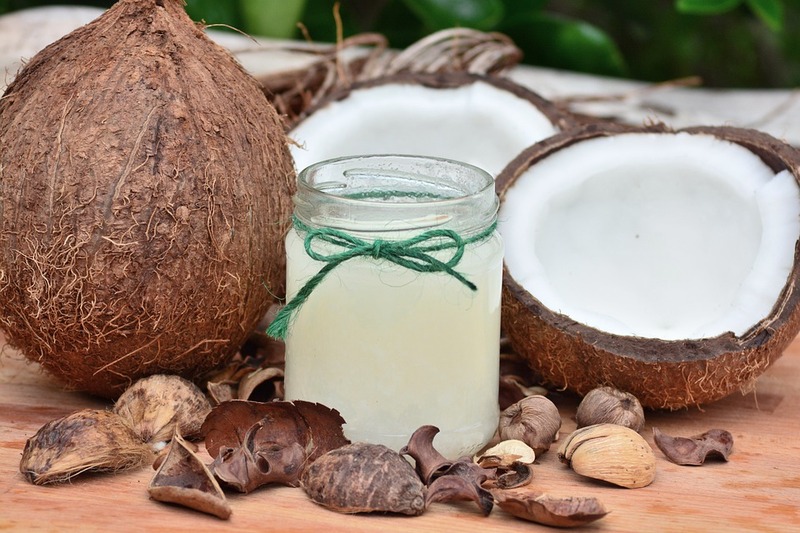 By Increasing the HDL’s in the body and changing the ratio of HDL to LDL, the saturated fat in coconut oil helps promote heart health and lower the risk of heart disease. You need good fat in your body! It helps lubricate your joints, it helps your brain to function properly, and keeps your skin soft and moisturized. It has also been found to aid in long term weight loss, as it promotes nutrient absorption, increases metabolism & curbs your appetite. Plus its a great bacteria fighter! Fatty acids in coconut oil are lauric acid. Lauric acid is good at killing bacteria, viruses, and fungi and is great in helping you stave off infections when used externally. When you ingest coconut oil it reacts with enzymes to forms a monoglyceride called monolaurin. And Monolaurin is great for killing harmful pathogens too! Other benefits of coconut oil are: improved digestion, strengthening your immune system, controlling blood sugar levels, improving insulin secretion, preventing and eliminating Candida, keeping your organs healthy & So. Much. More!